Daffodils (also known as narcissus and jonquil) are a welcome sign of spring after a cold, rainy winter. 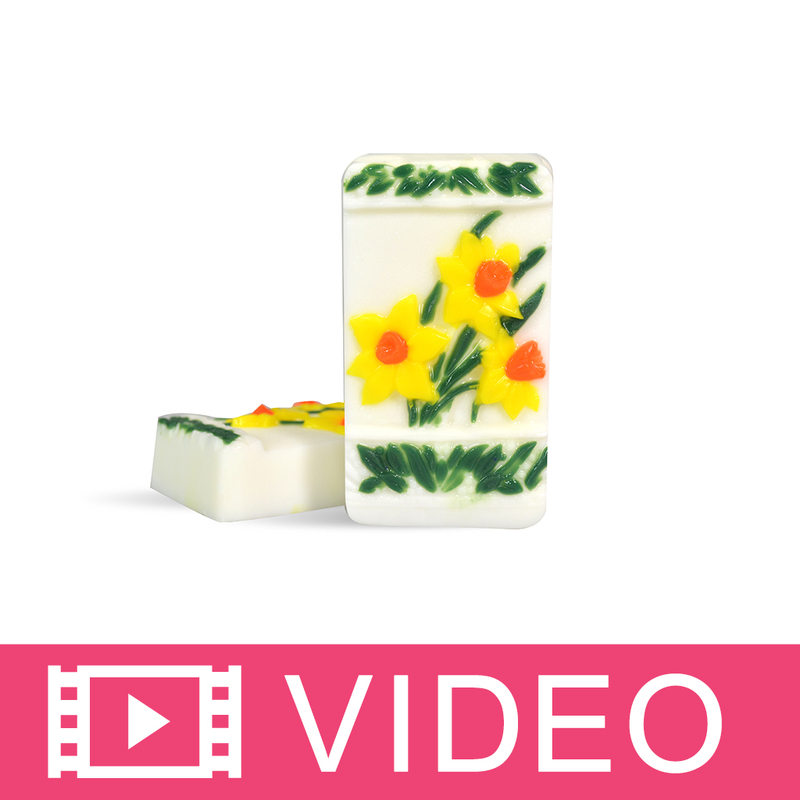 The Daffodils Soap Mold is a great way to get you into the gardening mood. Bar Depth: 2.375" Bar Length: 1"
COMMENTS: Mold is really good. The soaps turned out great. COMMENTS: Very nice mold. Pours well with droppers. Great detail. COMMENTS: I love these for my mp soap, makes a great gift. Very popular mold I'm glad I got it! !